Mountain Advantage is only as good as the members of its team. Our staffs experience, education, and training with all types of mountain landscapes allows Mountain Advantage to be diverse in the capabilities and services that our company can offer to its clients. I was born here in Ashe County where I attended Jefferson Elementary and graduated from Ashe Central High School in 1998. I was always occupied with playing whatever sport was in season all through my childhood and high school years. Of course, as I grew older, if I wasn’t playing a sport, I was expected to be working a job. 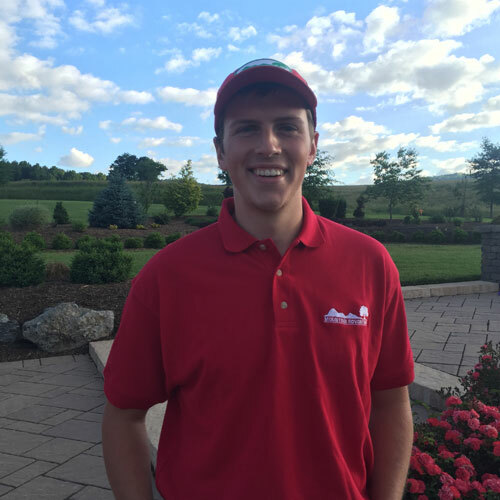 During my part time work outside of school and sport, I was able to gain experience working for Ronnie Lawrence, the owner of Mountain Memories Tree Farm. He helped shape the person that I am today and also instilled a love for working outdoors growing Christmas Trees. This contributed to my Horticulture interest. I was also fortunate enough to spend a summer or two working for Mike Herman Construction. During this time, I grew a love for mountain landscapes and an interest for the construction industry. I thoroughly enjoyed seeing the different phases of construction, and building awesome projects one piece of material at a time from a supply of materials was fascinating. At the time, I knew I was more of a laborer than a contractor, but the entire process intrigued me. Mountain Landscape Construction seemed to be a great marriage of the two fields. My post high school years were definitely a learning experience. After one year at Lenoir Rhyne College playing baseball, working in Florida at one of the top 5 dairy farms in the United States, and attending Appalachian State University for one semester, I found my home at North Carolina State University. 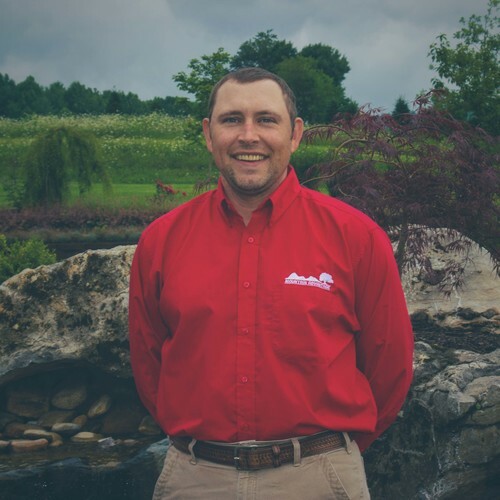 While pursuing a Bachelor’s of Science Degree in Horticulture, I joined a national organization known as the Associated Landscape Contractors of America (ALCA). This allowed me to participate with approximately 30 other students at N.C. State that were also pursuing a horticultural degree. We designed and installed actual landscaping jobs in Raleigh to raise money to pay for our transportation, food, and hotel for our annual landscaping competition. We competed against 65-70 top universities in the nation in 28 different events which included irrigation, tree climbing, paver installations, landscape design, and plant identification to name a few of the categories. In my three years of competition in ALCA we traveled to Colorado where we finished 6th in the nation, Illinois where we finished 4th in the nation, and Mississippi where we finished 2nd, the highest any team at N.C. State University has ever finished to that point in time. Also, while in Raleigh I completed a 12-week summer internship with one of the leading companies in the tree service industry, Bartlett Tree Experts. I worked for Ronnie Lawrence again, part time all through college and then full time after completing college. He allowed me to start Mountain Advantage Tree and Landscape as a secondary form of income, being a business partner of mine in the beginning. We still turn to Ronnie for expert advice. After many great experiences through college and in between, traveling to different places for work and school, I knew the lush mountain landscapes of Ashe County were calling me home. I currently reside in Jefferson with the three loves of my life- my wife Heather Peters and our two children Hadley and Harper. I am a 2006 graduate of North Carolina State University where I received a Bachelor of Science in Agronomy, focusing mainly on turf. While at N.C. State, I was a member of FARMHOUSE Fraternity where I held various leadership offices and participated in many community service activities. I have worked in the green industry for many years, starting in high school and continuing to this day. My work experience includes managing both commercial and residential turf and mountain landscapes along with hardscapes and aquascapes. While in high school, I was employed at the local golf course where I developed a love for mountain landscapes and the turf industry. Firestone Specialty Products Residential and Commercial Installer of PondGard Liners. I am proud to call the mountain landscapes of North Carolina my home. I currently reside in Ashe County with a Black Lab named Cash and a German Shepherd named Hank. Since childhood, I have always loved the outdoors and enjoy spending time hunting, fishing and golfing. I am blessed to have a wonderful girlfriend, family and friends to enjoy life with. The two aspects of Mountain Advantage that I enjoy most are related to turf and water features. Earnie has been an awesome addition for Mountain Advantage. He is the true definition of a person with a “green thumb.” This among many other talents, makes Earnie a valuable piece to the future of our staff. 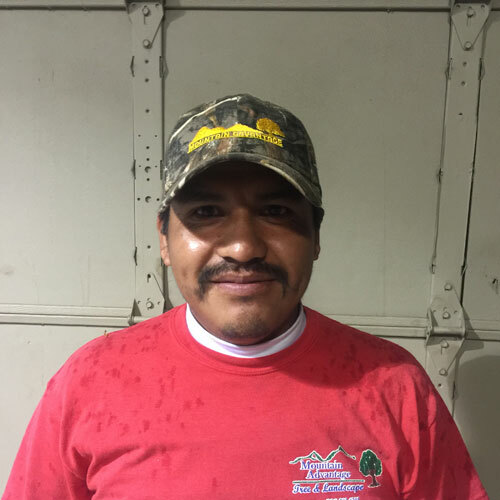 "My name is Ernie, I have been with Mountain Advantage Landscaping since 2015. I live in Ashe County with my wife Sara and our two children John Landon and Charlotte. I love spending time outside canoeing, camping, hiking and fishing. His great passion is gardening, which I began in 2009. I especially love to experiment with hybridizing flowers and cultivating mushrooms." Matthew is our hardscape foreman. He brings a strong work ethic, punctuality, and constant energy to the job every day. He has a masonry background and continues to add to his ever-expanding knowledge of mountain landscapes, stone and concrete work. He has multiple certifications. 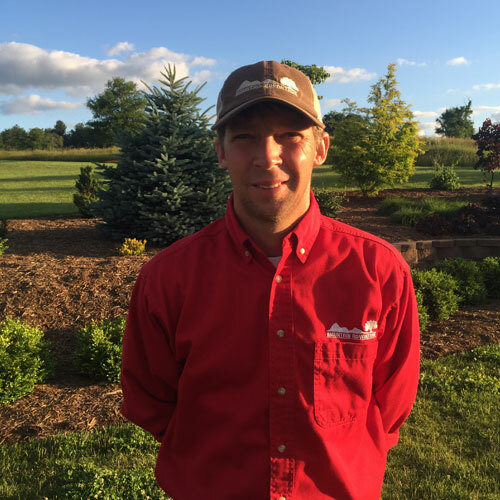 You can expect #1 quality when Matthew is involved with your patio or retaining wall. "Hi my name is Matthew, I am a Mason a Certified Segmental Wall Installer and Certified Paver Installer. In my free time I like to play Call of Duty. I am Happily Married." 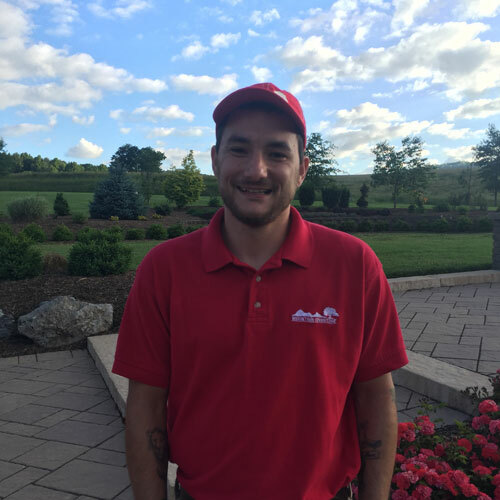 Shane is one of the longest tenured employees that Mountain Advantage has. His key leadership is invaluable in several areas of the company. His experience with mountain landscapes is vast. 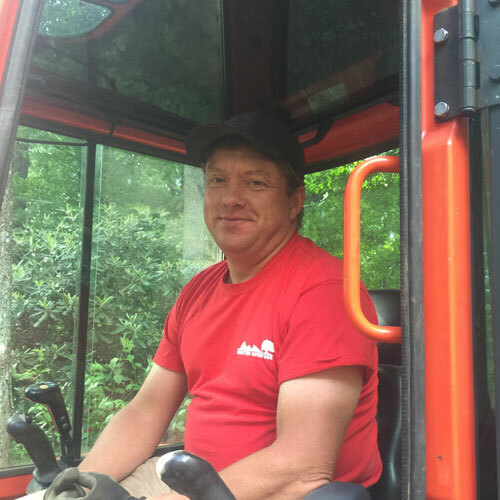 Shane has operated large equipment for some very large companies, he is a natural outdoorsman, safety for the crew is number one on his list, and the passion he carries for his work shows in every job that he is a part of. 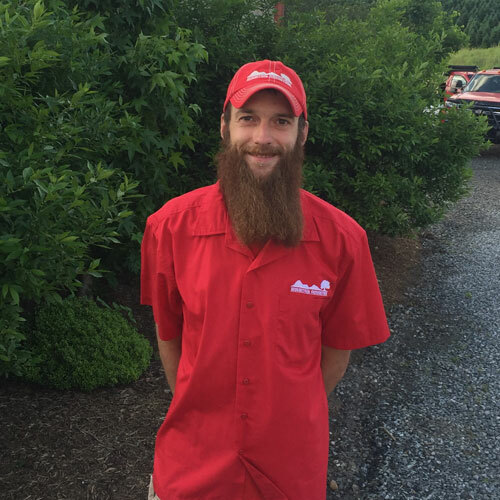 His organization, cleanliness, and neatness when he leaves a job for the customer is a direct reflection of his dedication to his job and the pride he takes in Mountain Advantage’s reputation. Needless to say, we are very proud to call Shane our Lead Installation Foreman. Thank you for your service to the Marine Corps Shane. "I was born in Galax, VA raised in Laurel Springs, NC. I graduated from Ashe Central High School in 1993 and Joined the Marine Corps where I became a Scout Sniper. I then earned a degree in Criminal Justice from Wilkes Community College. I began working form Mountain Advantage in 2006. I am a member of Glendale Springs Missionary Baptist Church. In my free time I enjoy hiking the mountain landscapes, canoeing, and playing sports with my family. I currently live in Crumpler with my wife Beth and our 2 children Lily and Nate." Jody is a valuable part of Mountain Advantage’s success. His experience on equipment and in the overall construction industry is extensive. As they say, he knows a little bit of everything. There are jobs that Mountain Advantage pursues that are not possible without Jody. I do believe that he may have been born in a piece of equipment. The equipment just seems to be an extension of his body. We are excited to have Max joining us full time this summer. He is officially graduating from N.C. State next winter. He has worked part time for Mountain Advantage for the past 4 years. We are amazed at the amount of maturity and knowledge that Max has retained over the past few years. He has really come into his own and will be a major asset to Mountain Advantage. He has many “tools in the bag” and we can count on Max to carry out many different tasks. He is a newly wed and carries several different certifications. Max has a very bright future. "I was raised in Jefferson, and graduated from Ashe County High School in 2012. I had always helped my parents in the yard and garden growing up, but it wasn’t until my sophomore year of high school that I began to realize my passion for horticulture. It was then that I decided I wanted to head down the path to become a landscaper. I decided to attend NC State, as they are the best school around for horticulture. I began my studies at NCSU at the 2-year Agricultural Institute. I graduated with my Associate of Applied Science in Ornamentals and Landscape Technology in 2014. However, due to the encouragement of Marty and Daniel, along with my friends and family, I decided to transfer into the bachelor’s degree program upon completion of the 2-year program. While I was in college, I interned for 4 summers at Mountain Advantage. During the school years, I also completed internships at an expert tree care service in Raleigh, and at the NC State Horticultural Science Research Greenhouses. I was an active member of, and served as vice president for two semesters of, the NCSU Horticulture Club. I also had the opportunity to be a part of the department’s National Collegiate Landscape Competition Team, and competed for 4 years in events like arboriculture techniques, landscape plant installation, and landscape maintenance operations. I placed in the top 10 in most of my events, and helped to bring our team to 8th, 10th, 15th, and 7th, place finishes, while competing against 65-70 other schools from around the country. 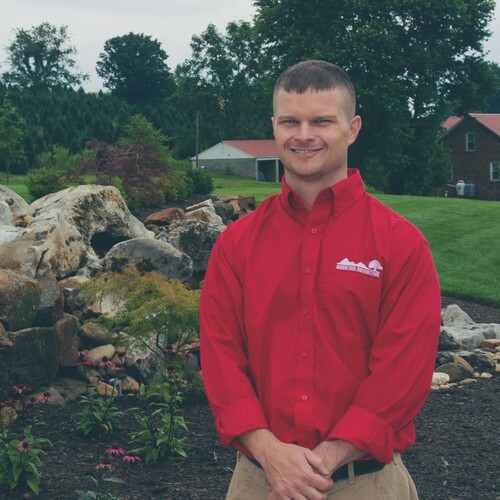 In 2016 I finished my Bachelor’s in Horticultural Science, with a concentration in Landscape Design, and was fortunate enough to return to my roots in Ashe County, and join the Mountain Advantage team full time. I currently hold memberships in the International Society of Arboriculture, and the North Carolina Nursery & Landscape Association. In 2016 I met my goal of becoming an ISA Certified Arborist, and I also am an NCNLA Certified Plant Professional. Plants are my passion, and I enjoy being able to work with our clients to create and cultivate beautiful outdoor spaces that give enjoyment for years to come. When it comes to hobbies, I love all things plant related: gardening, propagating and growing plants, and sharing my knowledge of mountain landscapes and enjoyment of horticulture. I also enjoy spending time outside hiking or running. I married my wonderful wife Brittany in May 2016, and we currently reside in Fleetwood, NC." More than likely when you call Mountain Advantage, you will be greeted by Monica. She is very hard working and meticulous. You can be sure she can answer most or any question you have about your account. 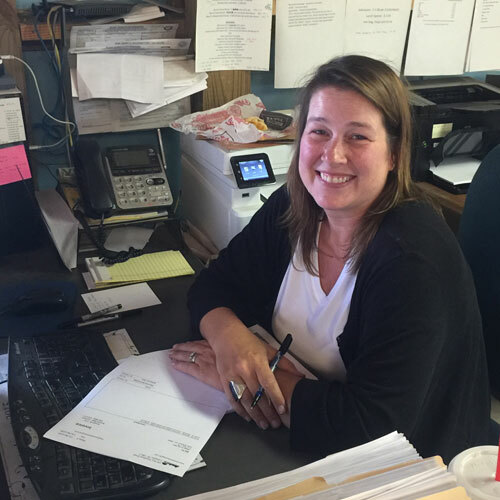 "Hello my name is Monica, I have enjoyed working for Mountain Advantage for the past 7 years. I am married with two children ages: 7 and 4. I enjoy spending time with my family and friends." 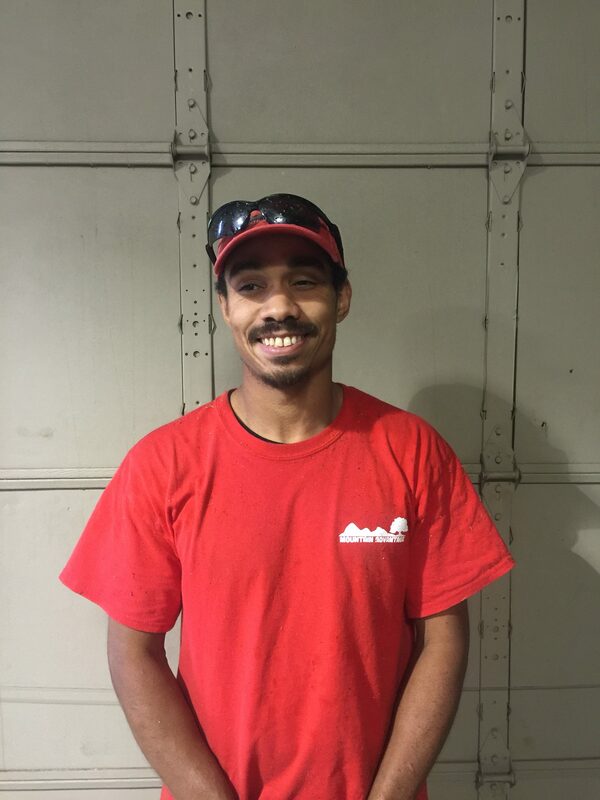 Daniel is hard-working and dependable. He is a big part of the maintenance crew. He always seems to have a smile on his face. "I am a very happy person and enjoy working For Mountain Advantage. I am from Puebla Mexico"
Librado is one of the backbones of Mountain Advantage. He and I (Marty) have worked together for 20+ years. I have never saw another individual that displays the volume of consistency or energy that Librado displays day in and day out. He brings a standard to the mountain landscapes workforce that is hard to match. "I am married with 3 Children ages: 12, 10, and 1. I am very happy person and have enjoyed working for Mountain Advantage for the past 11 years. I am from Puebla Mexico." Jamie brings a great attitude and multiple avenues of experience to the workforce everyday. We are ecstatic to have Jamie aboard and we look forward to what he can bring to the company. "I have done a little bit of everything, but learning how to do much more thanks to Mountain Advantage. I like spending time with my family and friends and playing my gutair." 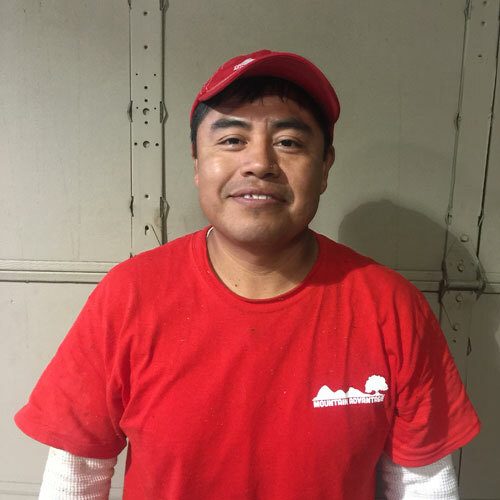 Adan is one of our newest members of the team. 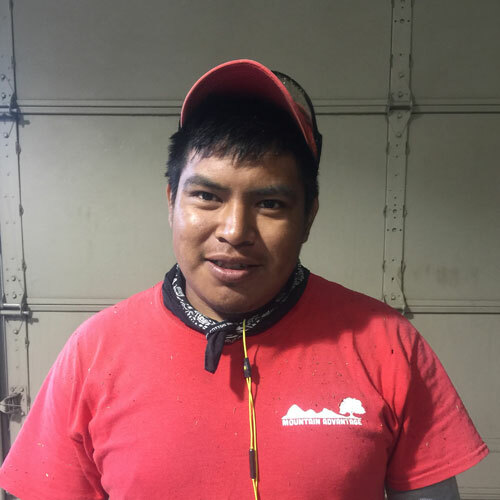 Adan has shown consistent, hard work, and a great attitude since he has joined Mountain Advantage. "I am from Puebla Mexico. I am very happy working for Mountain Advantage."